Have I finally managed to create a tree that I’m happy with? Well….. no. But I do think this batch comes closer than previous attempts! 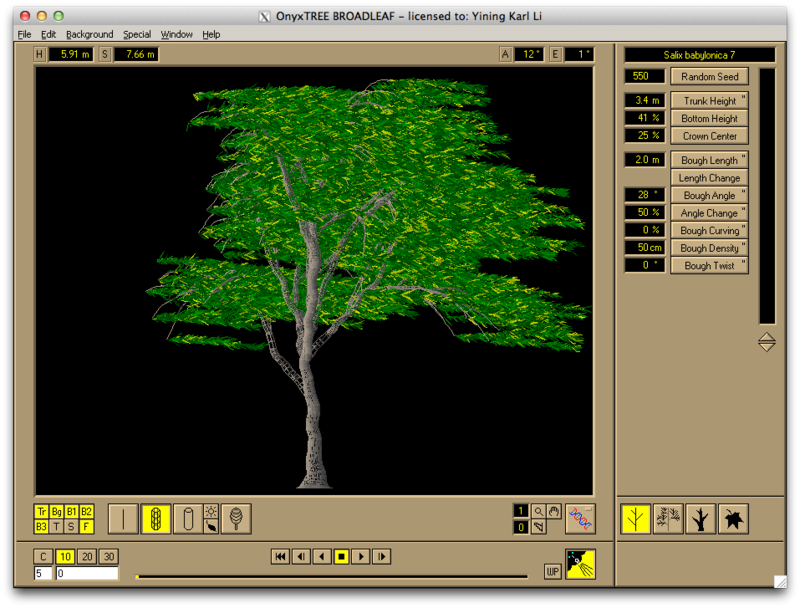 I’ve had a workflow for creating base tree geometry for a while now that I’m fairly pleased with, which is centered around using OnyxTREE as a starting point and then custom sculpting in Maya and Mudbox. 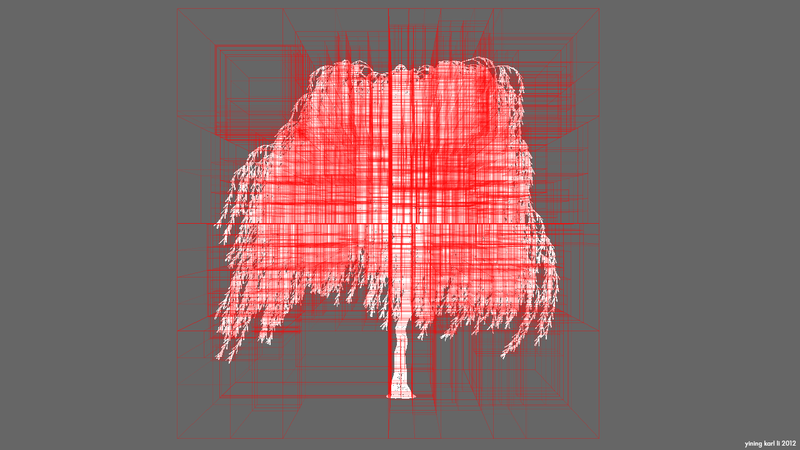 However, I haven’t tried actually animating trees before, and shading trees properly has remained a challenge. 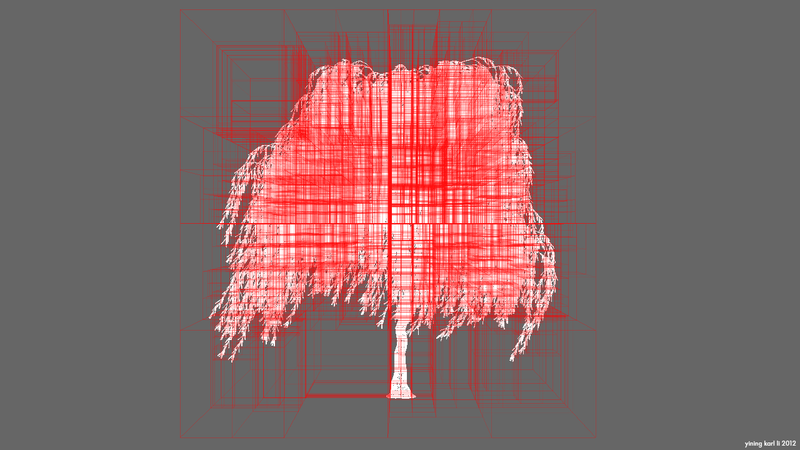 So, my goal this time around was to see if I could make any progress in animating and shading trees. One important thing I discovered was that the vertex numbering in each obj frame exported from Onyx remains consistent; this fact allowed for an important improvement. Instead of storing a gazillion individual frames of obj meshes, I experimented with dropping a large number of intermediate frames and leaving a relatively smaller number of keyframes which I then used as blendshape frames with more scripting hackery. This method works rather well; in the above video, the weeping willow at the end uses this approach. There is, however, a significant flaw with this entire Onyx based animation workflow: geometry clipping. 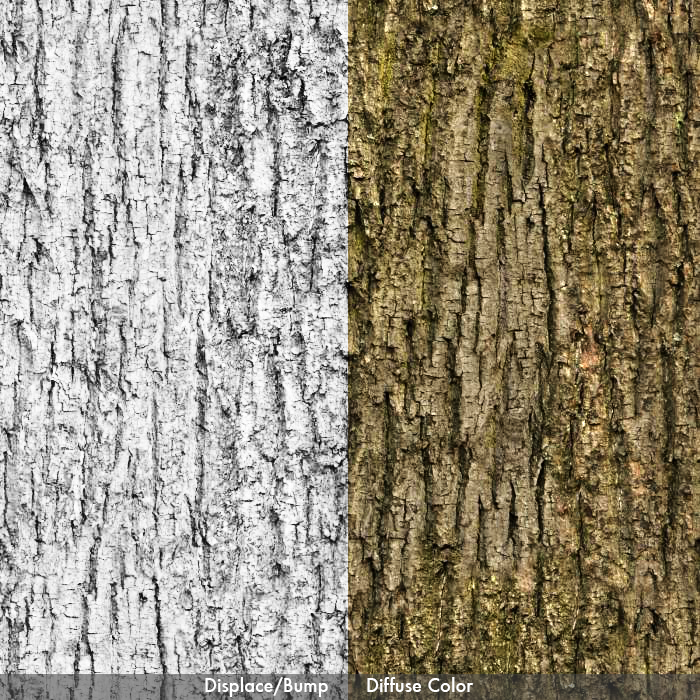 Onyx’s system does not resolve cases where leaves and entire branches clip through each other… while from a distance the trees look fine, up close the clipping can become quite apparent. For this reason, I’m thinking about abandoning the Onyx approach altogether down the line and perhaps experimenting with building my own tree rigs and procedurally animating them. That’s a project for another day, however. 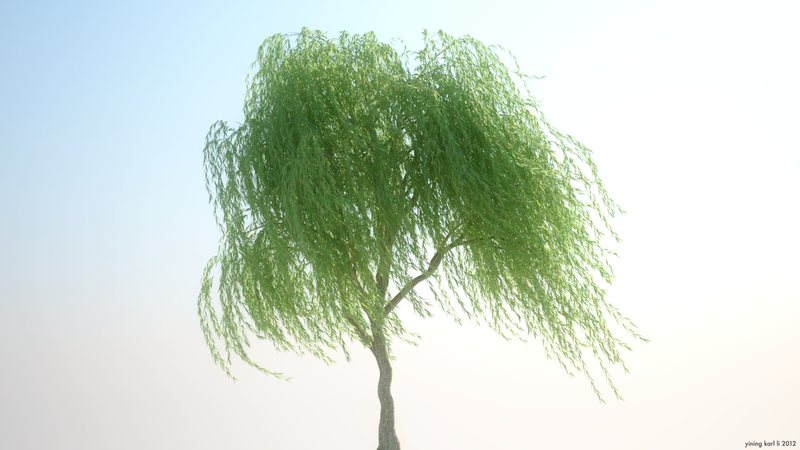 On the shading front, my basic approach is still the same: use a Vray double sided material with a waxier, more specular shader for the “front” of the leaves and a more diffuse shader for the “back”. 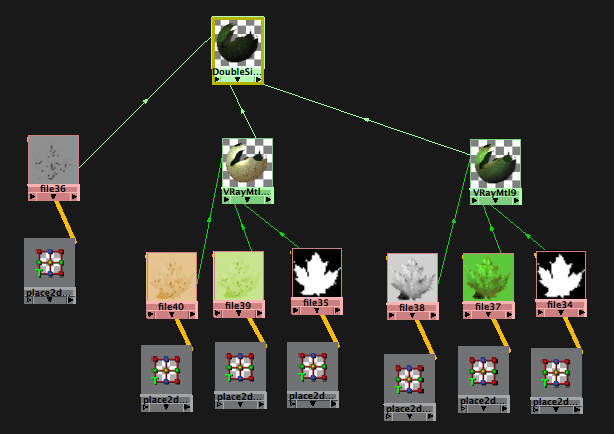 In real life, leaves of course display an enormous amount of subsurface scattering, but leaves are a special case for subsurface scatter: they’re really really thin! Normally subsurface scattering is a rather expensive effect to render, but for thin material cases, the Vray double sided material can quite efficiently approximate the subsurface effect for a fraction of the rendertime. 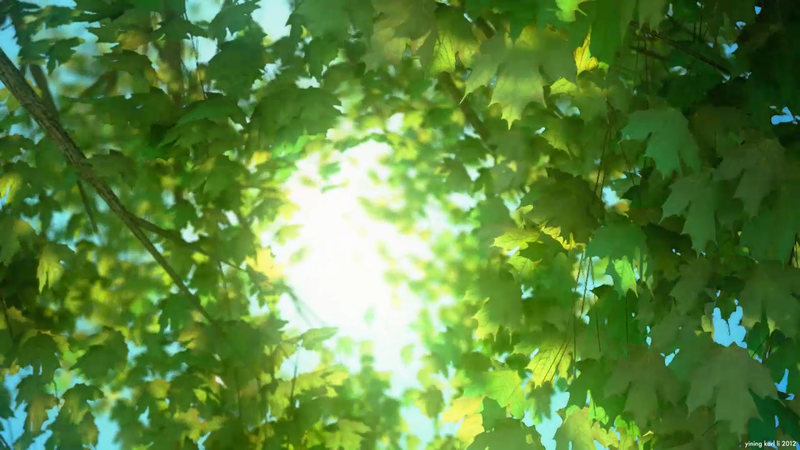 Here’s a few seconds of rendered output with the camera inside of the tree’s leaf canopy, pointed skyward. It’s not exactly totally realistic looking, meaning it needs more work of course, but I do like the green-ess of the whole thing. More importantly, you can see the subsurface effect on the leaves from the double sided material! Alright, that’s all for this time! I will most likely return to trees yet again perhaps a few weeks or months from now, but for now, much has been learned!